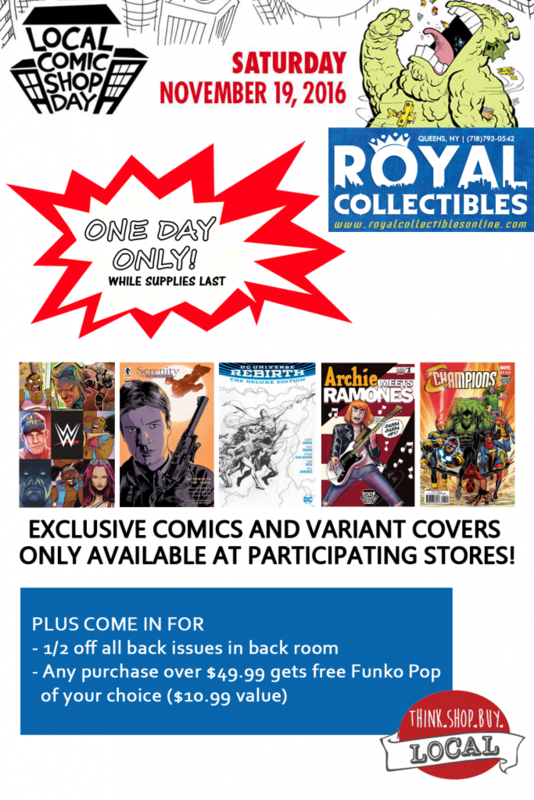 Come celebrate the 2nd annual Local Comic Shop Day at your friendly neighborhood comic shop in Queens! We’ll have sales, giveaways, exclusives and more! 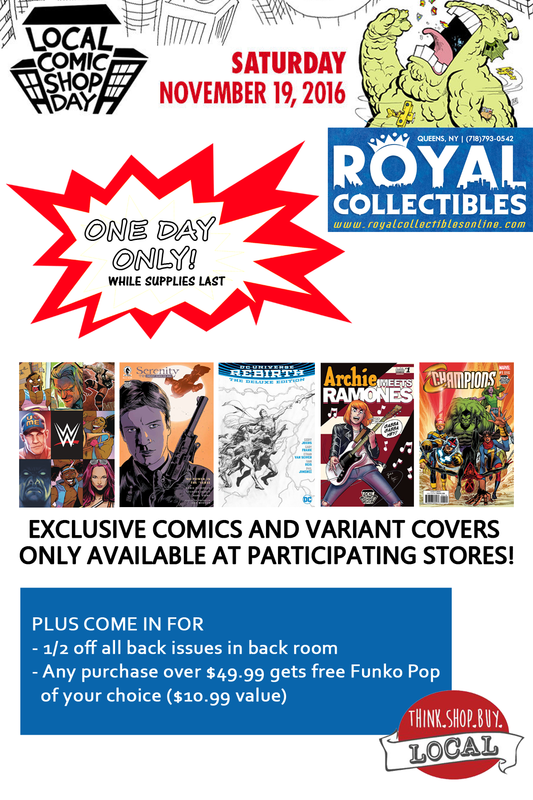 We will also have a 50% off sale on all comics in our back issue room as well as a special offer of (1) FREE Funko Pop ($10.99 value) of your choice with any purchase over $49.99!!! This entry was posted in General Info on November 5, 2016 by admin.